Efrain Barreiro went to college in a place very different from where he grew up. Barreiro grew up in Rio Piedras, Puerto Rico, a city just south of the capital of San Juan. But he eventually made his way to the states. From 1987 to 1989, he played college baseball at Western Kentucky University in Bowling Green. He played well enough there to turn pro and see Upstate New York and North Carolina. But his pro career ended up being brief, just two seasons. He never made AA. 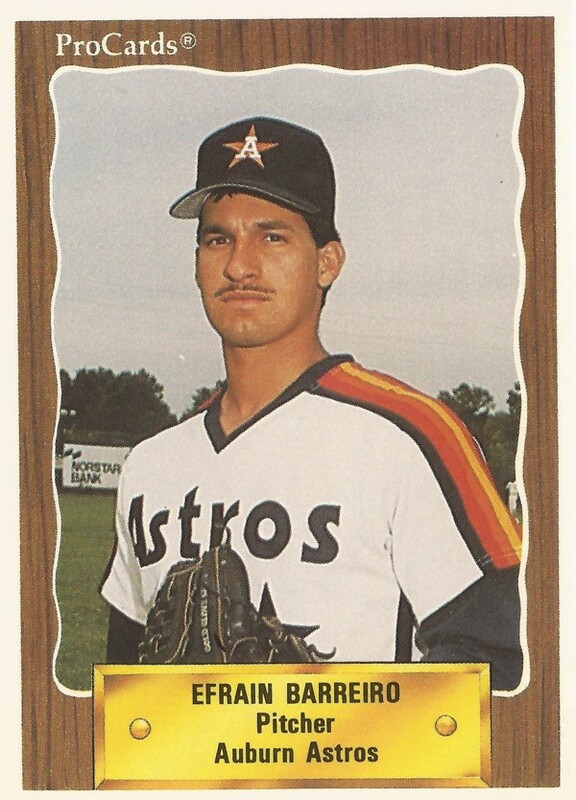 Barreiro's pro career began in 1990, signed by the Astros as a free agent out of Western Kentucky. Barreiro started with the Astros at short-season Auburn. The right-hander got into 20 games there, starting eight. He picked up two wins, four losses and one save. He also turned in an ERA of 2.44. He moved to single-A Asheville for 1991. There, he got into 18 games, starting one. He went 0-3, with a 3.90 ERA. He didn't return for a third season.